Oh no, please tell me you didn’t did you? Seriously? You searched for “buy cheap canvas prints” - what are you thinking??? 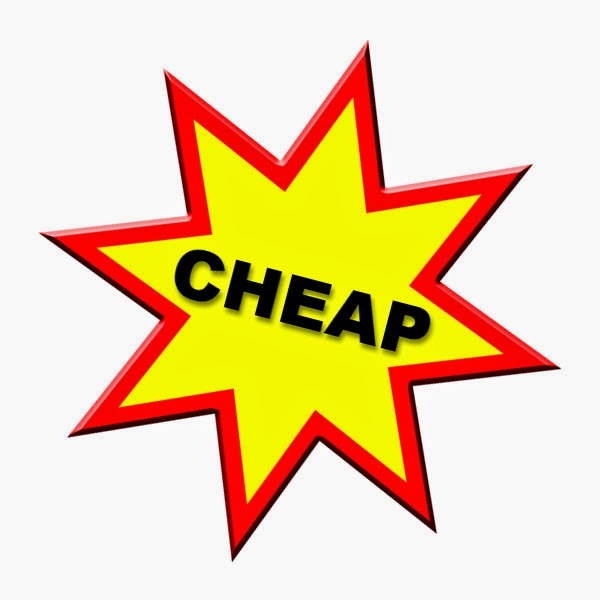 Nobody minds “inexpensive canvas prints” as this means you are matching similar quality at a better price but “cheap” says it all - you’re not even expecting it to be good quality! Just cheap. This is a gift for someone, right? Oh dear (forgive the pun) - I’m assuming you either don’t like them or you certainly don’t care about the quality. Oh, oh, insult = browser back button pressed in 3….2….1 - Wait!!! At least read some of this and then make your mind up. Well you’re still reading this, so allow me to continue - not all canvas prints are the same quality. Saaaay Whaaaat? Yes, it’s true that there are cheaper alternatives but it’s a bit like comparing branded baked beans with the supermarkets own brand. Technically one is cheaper but you just know you’re taste buds are in for a disappointment…. Q: “Why do you keep buying them if you don’t like them?”. A: “Cause they’re cheap”. It doesn’t make them better though, does it? Think about it - if they were actually as good as the branded beans then nobody would buy the branded beans that cost more. “Dinner’s ready - it’s that runny, lumpy, flavourless no brand from the cheapo-market”…. “What do you mean you’re goin’ down the chippy?”. To illustrate, imagine you call a company to speak to someone - would you prefer to speak to somebody or would you prefer the touchtone maze “press 1 to be disconnected, press 2 for a long hold, press 3 for more options”? I know what my choice would be - the real person. “What’s that got to do with canvas prints?” I can hear you all saying. Well, imagine you sent a photo that wasn’t quite the right shape to print on the size you are looking for - would you prefer someone to contact you who had looked at it and suggest a better size for the canvas or would you prefer an automated printer to just go ahead and print it and perhaps crop someone’s head off? What if the colours were not quite right - would you prefer them to be colour balanced correctly or not? Perhaps your photo even requires some retouching. Maybe to remove that horrible spot that would just have to happen right before the wedding…. Or perhaps that wine stain on the dress…. Or perhaps that annoying background object (now, now that’s no way to talk about your mother-in-law!) Wouldn’t it be better for a person to evaluate your canvas prior to printing it rather than having the uploaded photo regurgitated on the canvas? Of course you could always take a chance and if doesn’t match your expectation then you could try giving them a call: “press 1 to be disconnected, press 2 for a long hold, press 3 for more options”…. “Guten Tag, wie kann ich Ihnen helfen?”…. “Errrmm”. “Okay I can see your point of view but they’re just sooo cheap, what would it matter if it wasn’t printed as good as it could be - I could always blame it on my photography or the camera?” Well, have you considered the materials that are used in production? As with everything there are different grades of canvas, stretcher bars, inks and varnish that go into making a canvas. For starters is the canvas going to discolour over the years? You know when you paint your house and a few years down the line it starts to go an off shade white, well do you think your canvas might do the same? Would you prefer it to stay white? Well proper artists canvas won’t discolour with time. What about edge cracking - do you think a person or a machine can gauge more accurately the amount of tension to apply so that the canvas is taught but not cracking around the edges? Then there is the type of canvas - is it synthetic or cotton canvas? Both are good, but what do you prefer? Are your canvas prints glued to the frame or have they been stapled in? Do you think the glue might come unstuck in the years to come? What about the stretcher bars - they are using stretcher bars aren’t they, or is it something from the local DIY store? “What’s the difference?” I hear you ask. Well proper stretcher bars come with wedges so that you can re-tension them with time. All canvas prints will change tension with time due to changes in temperature and without wedges how can you possibly adjust this and stop them from sagging? What about warping - will they warp or twist over time because they have used kiln dried wood? How about the source where the wood has been harvested - has it been well managed allowing for regeneration or do you think it was just chopped down with little thought for the environmental impact? Do they come with FSC certification which guarantees the forest has been managed in an ethical manner or are you going to just take their word for them replanting the trees? You can find more information on FSC stretcher bars here. Will the inks stand the test of time or fade with age? Are they using genuine manufacturers ink or a cheaper alternative ink? Has it been tested so that it won’t fade? Will they still be around to complain to when it does start fading? Then there is the printing process - is it properly calibrated using a RIP (Raster Image Processor). A RIP allows proper profiling of the media that enables you to get the best possible colour reproduction of your canvas and without one there is no guarantee that your prints will be colour accurate or even using the full colour gamut available for printing. Varnish is essential for the canvas - it seals it protecting the canvas from U.V. damage and any abrasions (like when you are re-decorating and accidentally rub it against something). It also allows you to clean them with a damp cloth when they become dusty. (Don’t try that on a canvas without any varnish on it - you’ll mark it). The varnish also brings your canvases to life - it enriches the colours making the blacks black and the colours lively and vivid. Your canvas printer does use varnish to seal them, don’t they? At the end of the day it’s up to you, but at least be aware of what you are truly buying and why it’s cheaper - it’s because not all canvas prints are made to the same quality.